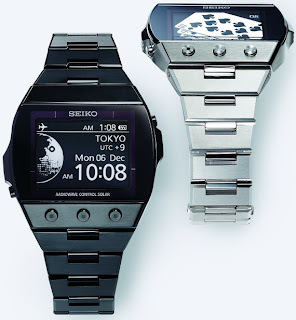 Seiko, a Japanese watch company is coming with watches of same display technology which has been used in a number of eBook readers like Amazon Kindle. The technology is e-Ink, with its latest version the watches are now the most likeable gadget with crystal clear rescale screen and very low power consumption. The product name “Future Now” is another addition to highlight the gadget’s traits and attracting the geeks. Seiko has made a promising statement claiming the watch uses 1% of the power previously required thus increasing battery life to an amazing extent. The increment in battery life is a result of bitmapped grey-scale E-ink display which has 80,000 pixels and 300 dots per inch and can be compared to a laser printer. Gone are the days when battery needed recharge once every week as experienced by most of eBook readers as this second generation EPD watch has reduced the power consumption to much surprising extent. This accomplishment is a result of SEIKO’s proficiency in IC and other electronics used. 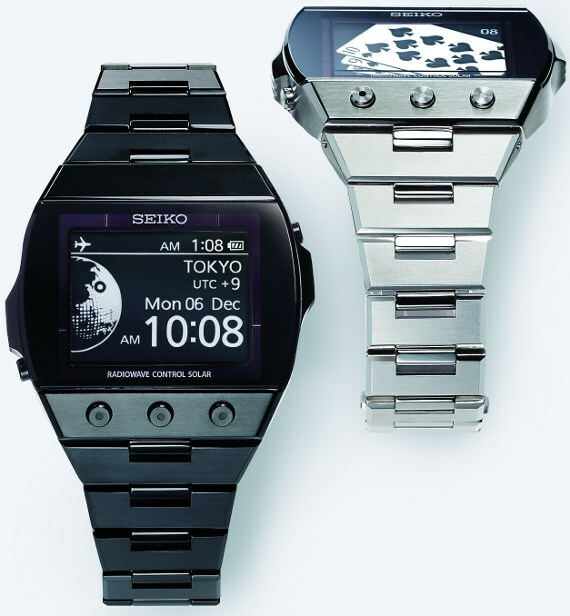 This Seiko watches are driven by the technology which is used in the screen of a technology is active matrix display which is making the watch unique. Active matrix combines the range of data display and imagery along with low power consumption benefits of e-Ink. Apart from the minimal energy consumption, the latest e-ink watches are better than previous ones because initially the display could render few segments only in black and white, but as mentioned earlier the “Future Now” watches provides 300 dpi resolution and can render 80,000 pixels in four shades of grey thus producing sharp, bright and clear images within the wristwatch screen area. SEIKO has made a place in history for being the first and only company to implement Active Matrix EPD technology in a watch. Its display is strikingly clear. The images are so clear that normal LCD technology watches stand in no comparison to it. The striking clear and crisp display is much better than any other tech watch. Further, figures, text and graphics are so vibrant that one cannot get his eyes off the dial. For instance, the date on the watch can be resized or placed on user’s choice without any display malfunctions. All the geeks and gadgets freaks reading the post, if you are planning to buy a watch then consider the option to be number one in your wish list.